HomeComic Books[Interview] CW Cooke & Travis Hymel of L.U.C.H.A. : A Wrestling Sci-Fi Thriller ~ Now on Kickstarter! [Interview] CW Cooke & Travis Hymel of L.U.C.H.A. 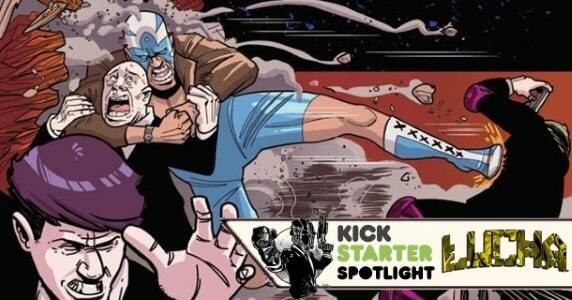 : A Wrestling Sci-Fi Thriller ~ Now on Kickstarter! Now on Kickstarter, L.U.C.H.A. is a new creator-owned series coming from the minds of writer CW Cooke and illustrator Travis Hymel. Meeting and surpassing its funding target this past weekend, the campaign is already looking towards achieving some sweet stretch goals! PopCultHQ is already on-board with over 150 other backers who are beyond excited to see this captivating tale come to life. We wanted to spotlight this campaign not only because of the sweeping buzz making rounds in the comic book community for this epic feature, but because the book itself encapsulates everything that is great about comic books: a uniquely, fun narrative, a hearty dose of ingenuity, an abundance of passion on each page, and talented, indie creators seeking to tell a great story, as well as excite readers (and the industry). 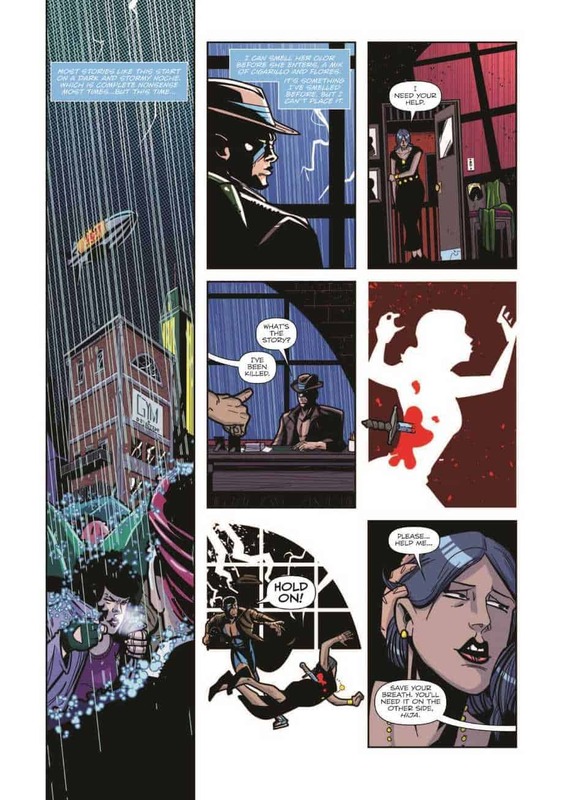 Cooke & Hymel are teamed with colorist Jeremy Kahn and letterer Micah Myers, and the first issue is already being colored, with issue two in the works! That’s where you can come in as a backer of the campaign to make printing and fulfillment of rewards a breeze! We’ve backed it because it is an amazing first issue that not only do we want to see in print format, but we want more of this wild concept and the brilliant world in which Cooke & Hymel are building. PopCultHQ had the privilege of discussing L.U.C.H.A. #1 with the creators of the series, writer CW Cooke and artist Travis Hymel, to learn more about this unique, captivating, and wildly fun new series about to make its way into the comic book market. This is a campaign not to be missed and a project PopCultHQ is excited to share with you. It’s time to learn about, and get excited for, L.U.C.H.A. #1! PopCultHQ: L.U.C.H.A. combines the best elements of luchador wrestling, monster stories, science fiction, thrilling crime drama, and superhero action & excitement. How did this wild and fun concept come to life? CW Cooke: Travis and I happened upon each other in a Facebook group called Kayfabe, which about once a year puts together an anthology of wrestling comics from wrestling fans and for wrestling fans. 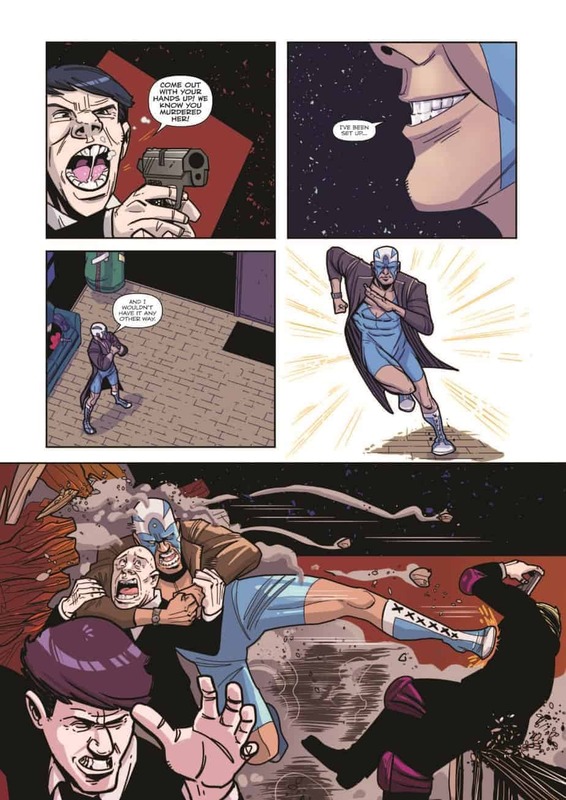 The idea started as a wrestling noir comic, a Sin City-esque spin starring a luchador, that then blossomed out into the monster aspects of El Santo and then got even crazier and crazier the more we built the thing together. And that’s nothing. You think you’ve seen crazy so far? It gets MUCH more intense and insane as the story develops. 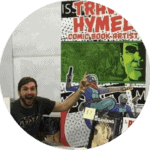 Travis Hymel: It really started when I met CW through the Kayfabe anthology group. We paired up to work together and did the “well…what do you want to do? I dunno…what do you want to do?” From that clueless start, I threw out the idea of a wrestler/Luchador guy that’s a detective. Then CW took it and expanded it to what the first 10 pages came to be for the anthology. We were both pretty pleased with how it came out and CW thought we could potentially pitch the book or even do more with this character. PopCultHQ: There are a number of exciting elements in this first issue to appeal to many, I would think. What readers or fans do you feel will dig L.U.C.H.A. the most? CW: I think all comic book fans will get a kick out of this. 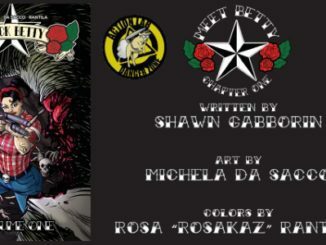 If you like superheroes, if you like wrestling, if you like hard-boiled detective stuff, if you like sci-fi, if you like horror, if you like monsters, if you like stories that show the world outside our window as diverse and open and exciting and fun and explore the deeper meaning of humanity, you’re going to like this. It’s going to be a fun, heartbreaking book. 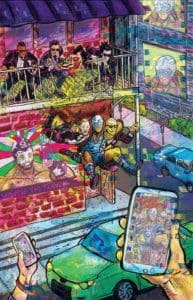 Travis: Wrestling and superhero fans will love this book. 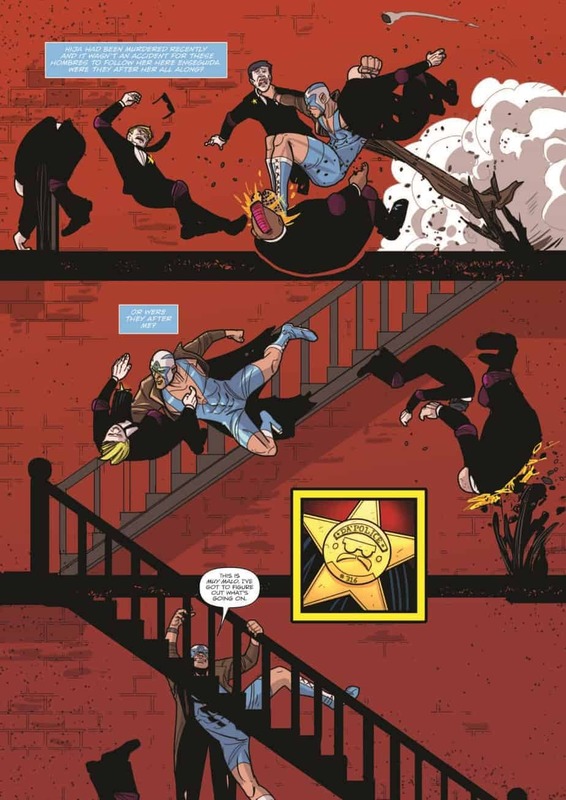 Wrestling and comics itself share soap opera-type stories, crazy action, and interesting characters that can only exist in their respective world. PopCultHQ: The protagonist for L.U.C.H.A. 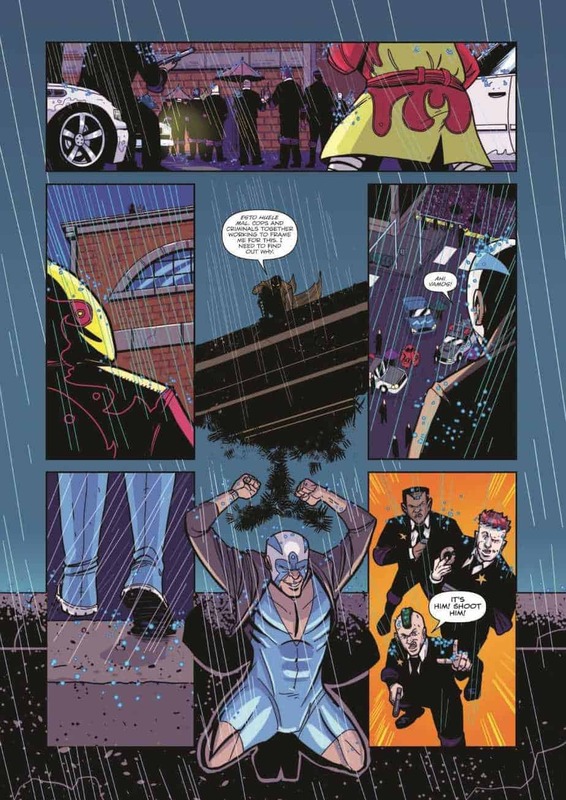 is Agente, the luchador detective fighting vampires, wrestlers, and more. What can you share about Agente and his background? Does the series have a primary antagonist, or will readers follow his crime-solving adventures and the various encounters he faces? CW: There are villains that want to destroy Agente by any means necessary. To go into too much depth beyond that would be telling the main premise and plot twist of the book, but they are pure evil. As the story progresses it will absolutely make sense who they are and why they’re doing what they’re doing, and also, Agente will be facing off against werewolves and vampires and various other creatures of the night while still fighting robots and wrestlers and everything in between. Lots of fun stuff here, and lots of fights. Travis: I don’t think CW and myself want to share too much about Agente. However, what I will say is that he has been at this for a long time and has become a fixture in this universe as a top detective. Since he’s been around for a while, he’s made a ton of enemies much like Orloff, who is a vampire mobster who has the police in his back pocket. PopCultHQ: Now that you’ve reached your funding goal, it looks like issue one is pretty much in the bag (aside from printing). Will you continue to self-publish subsequent issues? With what frequency would you like (or are able) to produce additional issues? Are there any plans to pitch the completed first issue to publishers? CW: Pitching is planned and has begun, and the first arc is 4 issues of madness that explores and opens up a huge world to look at later. The goal is monthly releases without need of a Kickstarter for every issue. The first issue is fully-drawn and work has begun on issue two as the colorist works on issue one, so things are moving at a nice pace. Travis: The plan is to keep going. We have some plans in the works, but can’t talk about them just yet. PopCultHQ: You mention in the campaign that ultimately you are looking to see the series through four issues. Will this contain the entire series or just the first story arc? If the crowdfunding gods continue to favor you and bring you the support needed, are there plans for future issues/story arcs? CW: First story arc is 4 issues. After that, it depends on when Travis gets sick of me or when the audience tells us to stop, really. I would love for this to be another magnum opus, running for as long as possible, allowing us to tell the tale of Agente throughout years of growth as creators. 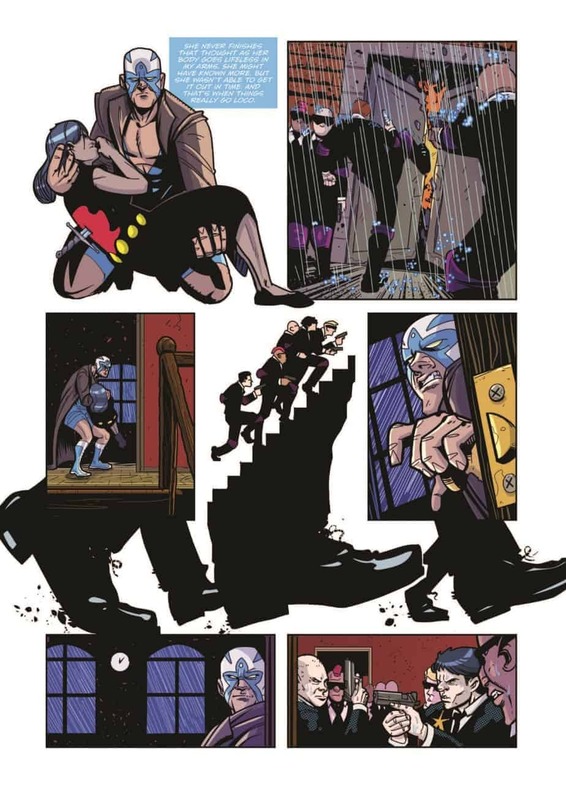 Travis’ work reminds me a lot of Ryan Ottley’s stuff from Invincible, and if I can somehow keep him working for 144 issues of Agente/L.U.C.H.A., I’d be a happy camper. We have ideas, lots and lots of ideas, to continue this forward past the initial four issues, and people are probably going to want more after the last issue ends. Mostly because we’re ending it in the hopes of a sequel series and with another humongous tease of what the world is about. PopCultHQ: Your creative team also includes colorist Jeremy Kahn and letterer Micah Myers, as well as editing from Action Lab’s Shawn Gabborin and Shawn Pryor. How did this creative team come together for your project? CW: Travis and I came together through the Kayfabe anthology page, which is run by Micah Myers. 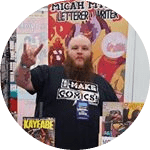 I’ve known Micah for a very long time, going back to when he saved me on Solitary and even before that, jumping in and handling the lettering on a book that needed someone to step in and finish an issue lightning fast. Travis feels like the Byrne to my Claremont or the Ottley to my Kirkman, or I guess since I’m the KC Mark Millar, the JRJR to my Millar. Travis and I speak the same language when it comes to the pages and the progress and the needs of the book and work pretty fluid as co-creators on it. 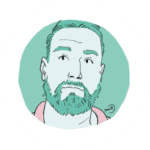 Jeremy is another dude I’ve known for a long time who will be coloring a few things for me because he’s a breeze to work with and he handles the pressure well and is open and honest. The Shawns I’ve known for years because I pitched Solitary to Action Lab first but it didn’t work out, and then got a book called Stillwater picked up through their Danger Zone imprint. 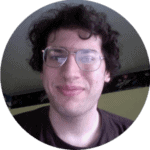 Shawn Gabborin has been an editor of mine for a long time (still editing Solitary for me and acting as editor on Stillwater, which you can get on Comixology by the way). So I’ve been lucky to have their guidance throughout my career. PopCultHQ: What has been your biggest obstacle in bringing L.U.C.H.A. to life? CW: Getting over the nerves of the Kickstarter has been the biggest obstacle, I’d say, and feeling like we might not find an audience for it. We did the story in a small bubble of our own in the Kayfabe group and heard insane praise from everyone involved in it and everyone who came across the story, so it grew from there into this living, breathing thing that is now real and happening and just exploding in the public view. It’s incredible, but at first the anxiety of building the project and tossing it out there was tough to deal with, which is always something I struggle with at first. Creating the thing is easy, but having it out there for people to judge is a hard aspect of making comics. I love them, I love everything about them, and I’m going to fight to make them for the rest of my life. I just have to always get over that first terrifying step and just jump into the deep end. Travis: I think it was figuring out where to go with the rest of the book after we made the initial story which was originally just 10 pages. We went back and forth for a few weeks on what we can do with Agente and what would make sense. There was just so many options of what we could do with this character. We essentially made a sandbox type of comic where we could do any wild and crazy thing we wanted. Special thanks goes out to CW & Travis for making the time to speak with us at PopCultHQ. Be sure to get on board with L.U.C.H.A. #1 live NOW on Kickstarter! At over 100% funded, join the 150+ backers already supporting this creator-owned project. Let’s unlock those stretch goals! Follow the L.U.C.H.A. creators online! 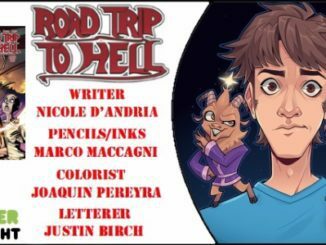 [Interview] ROAD TRIP TO HELL #1 – Nicole D’Andria Delivers Dark Comedy w/ the Devil, Demons & the Dead ~ Now on Kickstarter! 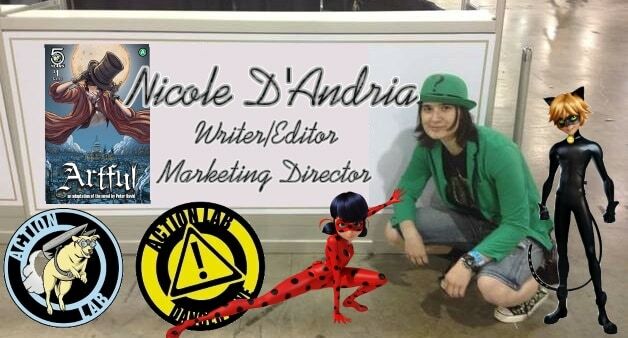 September 11, 2018 Jason Bennett Comic Creators, Crowdfunding, Interview Comments Off on [Interview] ROAD TRIP TO HELL #1 – Nicole D’Andria Delivers Dark Comedy w/ the Devil, Demons & the Dead ~ Now on Kickstarter!